How to de-pot MAC eyeshadow or blusher - step by step. Now that winter is out of the way, we can start thinking about summer. Well I am at least, and one of the things I keep thinking is... I NEED a tan. I've actually been buying outfits and cosmetics to wear 'when I have a tan'...is it just me? Anyway, it's not quite sunbathing weather yet, but there is no reason for me to be pasty white! 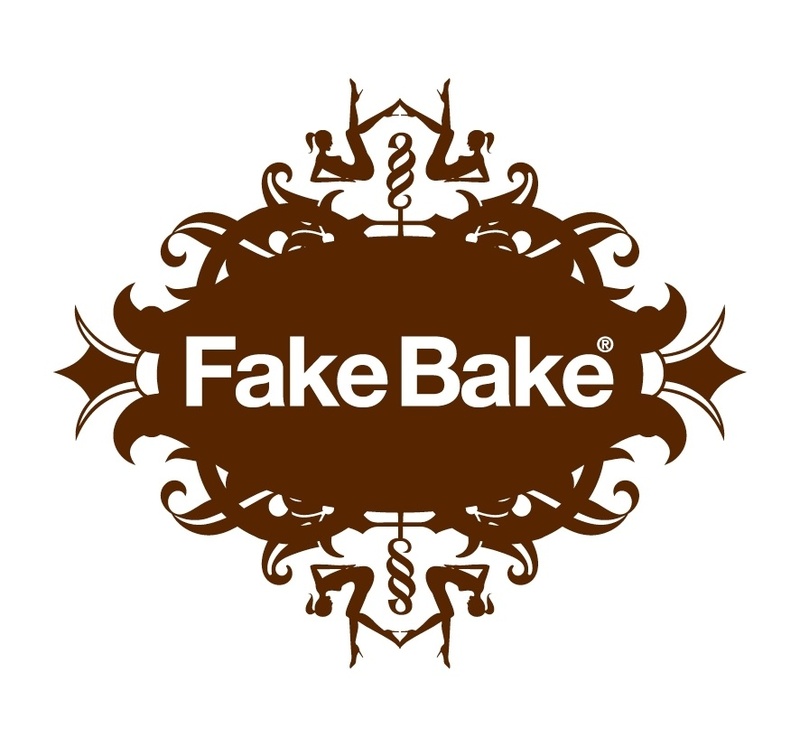 I got an e-mail today tell me that CheapSmells.com is now offering an extra 20% their whole FakeBake range, which is an even bigger saving on their already highly discounted products! (Valid until Midnight 26/02/2012). To receive this offer simply enter 'Bake20' at the checkout. Just thought it'd share this all with you, as I'm feeling a little see-through at the moment! Hey, I hope you all had a great weekend. Sorry for being a little late with this post, but I actually ended up spending Valentines day sick in bed! Last year I tried my first slimming body wrap, and to be honest I was quite optimistic about the results as I stood there in my paper pants with the girl measuring my hips and thighs! But an hour later - lo and behold i'd lost 5 inches!from my bum, tum and thighs...it had just melted away! After that I was hooked! Going to a salon isn't always the most convenient thing, it can also be embarrassing for some. So I was delighted be I spotted "Sanctuary Spa Professional Trim & Tone Body Wrap". Personally I've a massive fan of Sanctuary Spa products, Boots have out done themselves! Get a free Giorgio Armani make up set with a voucher inside this week's Grazia magazine. You can get a free 4 piece make up set from Giorgio Armani when you buy a copy of this week's Grazia Magazine. To claim your free Giorgio Armani make-up set you will need to buy a copy of this week's Grazia magazine (with Katy Perry pictured on the cover) and cut out and complete the voucher printed on page 129. Once you have your voucher, simply take it to one of the Giorgio Armani beauty counters listed in the magazine to exchange for your free make up set by the 14th March. For a full set of terms and conditions please refer to the voucher inside Grazia magazine. 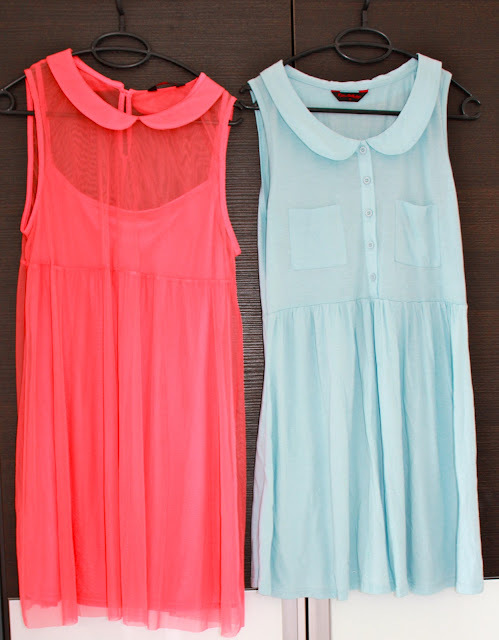 These dresses are really cute on, and will be perfect for summer. I guess you can never have enough skirts. I'm going through a skirts phase right now. I love skinny jeans for the office. Smart but casual. Have you started stocking your summer wardrobe already? 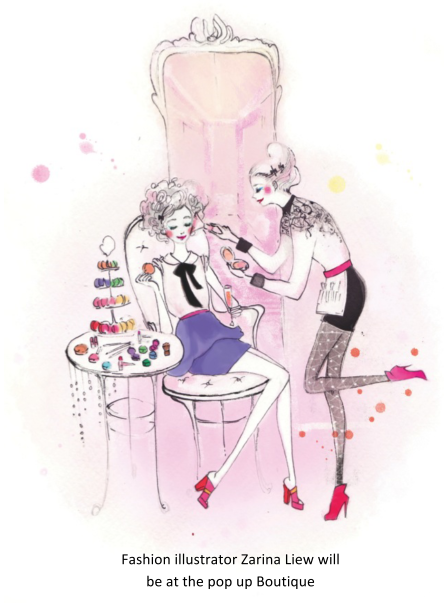 On Saturday, I ventured into Sliema to attend the "Kiss & Make up" launch at the Soap Cafe. A new cruelty free, and all natural makeup line. The soap cafe is one of those places I keep meaning to go, but I've just never got round to, and let me tell you it didn't disappoint. Situated on a little quiet street just a few minutes walk from the Strand, the Soap cafe is one of Sliema's little gems. Sometimes we forget about the smaller independent stores while everyone flocks to The Point, but it's these places in my opinion where we find the best things! Unfortunately, I never managed to take any pictures of the event. The place was packed when I arrived. Not only were there scrubs, bath bombs and lotions and potions everywhere, "Hey Birdie-pie!" a vintage and second hand clothing pop up shop was there too selling everything from vintage tights to fabulous fur coats. With everything to choose from it was hard to walk away empty handed. So here's what I picked up.. If you can't see clearly in the photo it's actually a giant pink cupcake bath bomb!! And it smells amazing. I can't wait to use it. 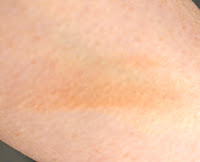 The second item I got was Mineral Bronzer in shade "perfect glow". I just so happened I drop my Mac bronzer last week, and had left my spare in the UK, so I needed a new one anyway. It's a lovely shimmery golden colour, perfect for giving that summer beachy glow. I can see me using this a lot in the summer...once I'm a little more tanned. Have you been to the Soap Cafe? I know this post is a little late, we've all probably forgot about Christmas already but last November/December I took part in a bloggers Secret Santa swap organised by the lovely Nav from naviliciousbeauty and due to Christmas post, I received my package a few weeks ago, but only discovered it on my last week when I returned from my trip. Anyway, like any package I was very excited to get it! Nav put in lots of hard work to organise it and I for one really enjoyed it. My Secret santa was "Ashley G"...i'm not sure the blog name but if you're reading this please let me know as I really do want to say "Thank you". I received the "E.l.f. Professional 9 Pc. Master Set"
Like every make up lover, brushes are an necessity and you can never have enough. Plus I love these types of cases for traveling. Keeps everything nice and tidy. Have you tried elf brushes? What's your thoughts? Pro eye makeup remover/ Pro colour pallete / Creamsheen lipstick in "fanfare"
I've seen a lot of people with the blusher pallets and always wanted one, so I thought - why not? I have another blush to put in the palette but I'm saving that for a de-potting tutorial. (Not as easy as you might think!). My plan now is every time I'm in the Uk, I'll treat myself to a new Mac blusher and slowly fill up my palette. Last but not least, creamsheen lipstick in Fanfare. In my mind I can't go to Mac without picking up a new lipstick (like a crazy lipstick lady). There is just something about them. Anyway I wanted something subtle to wear during the day while I had meetings and fanfare did the trick. 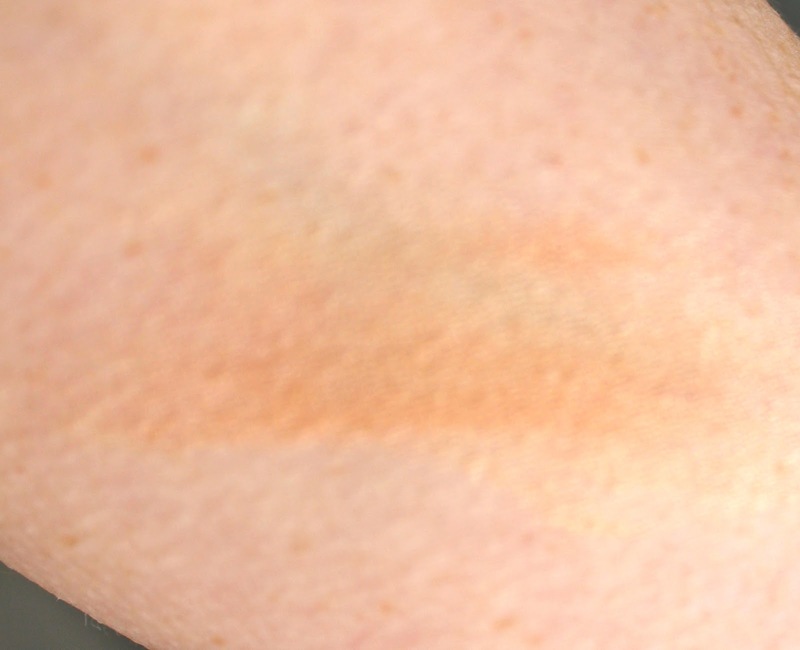 As you can see it's rosy colour, but I see it as a soft almost neutral colour as well. I think this is going to one of my favourite lipsticks for the summer as well...once I have a tan! We all love that movie Breakfast at Tiffany's, in fact when I was in New York 2 years ago I made a point of doing just that "Breakfast at Tiffany's". One of my favourite colours has to be "Tiffany" blue, as cliche as it sounds. Every girl would love to get a little blue box with a white bow. When I spotted "For Audrey" by China Glaze...I had to have it. I just love colour and itt will go with the pastel trend this spring. I have to admit, this was my first China Glaze polish and I am really impressed. I love the long brush, it makes painting so much easy and the creamy formula just glides on, no need for 3 or 4 coats like some brand. I bought For Audrey up for £5.95 from Amazon. Do you love this colour as much as me? Hey lovelies, I hope you are all enjoying your weekend. I came across this amazing video last week by the Amazing Wayne, I'll let the video speak for it's self. They had a great sale on, and I got each of these products for only £2.99 each!! Can you believe it. Now I know I can never wear these products as foundations but I can't wait to try them out for contouring. It's really thick and creamy, I actually had to scrub my had to get it off. So I know it will give excellent coverage. I was lucky to buy it for £2.99, the price has went back up to £14.45, but that is still 46% saving from the £27 RRP. I have lots of freckles so I'm always on the hunt for ultimate coverage.